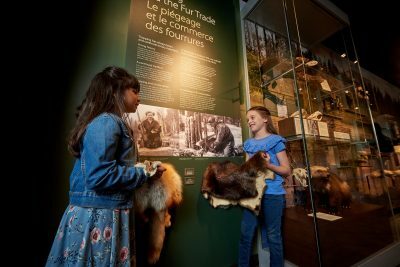 There’s Always More to Discover at the Manitoba Museum. Enjoy immersive human and natural history experiences in the nine Museum Galleries. 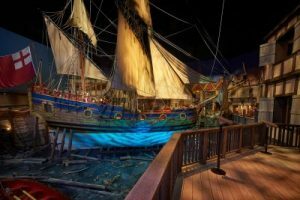 The renewed Nonsuch Gallery has been revitalized with stories of adventures, fascinating details about the building of the replica ship, the Hudson’s Bay Company’s nautical history, and the company’s contributions to science. We’ve developed a new guided program to highlight the immersive light show and soundscapes, and show off more artifacts and specimens from the HBC collection. Explore the wonders of science with hands-on interactive activities for all ages. Our popular racetrack exhibit has been upgraded to provide even more engineering and design activities for your students. The giant slot-car track is still there, but the car construction and design stations have been completely rebuilt based on teacher and student feedback. Car construction is easier, with clear instructions while still encouraging the “design-test-redesign” process of real engineering. This gives students practical hands-on experience with the design, construction, and testing processes. In addition to these improvements, a gravity-based race track has been added, to allow for further experimentation with pre-built cars to do loops, jumps, and ramps. We also have a full-scale race car that you can sit inside, thanks to our friends at Red River Co-op Speedway. Engineered for Speed is included with Science Gallery admission as part of the self-guiding portion of your visit. Featuring Digistar® technology, the Planetarium’s virtual reality capability creates a new sense of depth to the known universe. Fly to familiar constellations and see them in new ways. Every show includes an introduction to the current night sky. Hear the 14-billion-year saga of how we came to be. It’s a journey from the microscopic plant cell to the vast universe populated by billions of galaxies swirling in space. This show includes a brief night sky update.